The press conference. Second from the left is Imad al-Agha, senior Fatah figure; next to him is PIJ activist Khaled al-Batash; at the far right is Hamas activist Isma'il Radwan (Quds Press, March 7, 2018). Issam Hamad, a member of the "great return march" international coordinating committee, interviewed in the Gaza Strip by Zaher Birawi, on the London-based al-Hiwar channel (Facebook page of al-Hiwar, March 9, 2018). 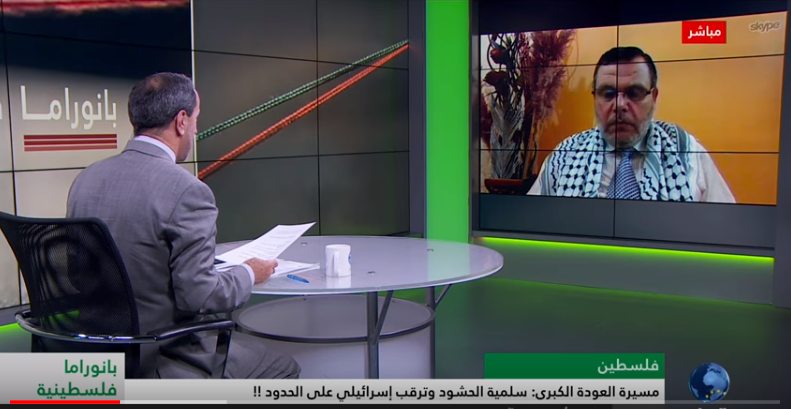 Zaher Birawi interviews Issam Hamad from the Gaza Strip, one of the organizers of the march, on the YouTube al-Hiwar channel (March 9, 2018). 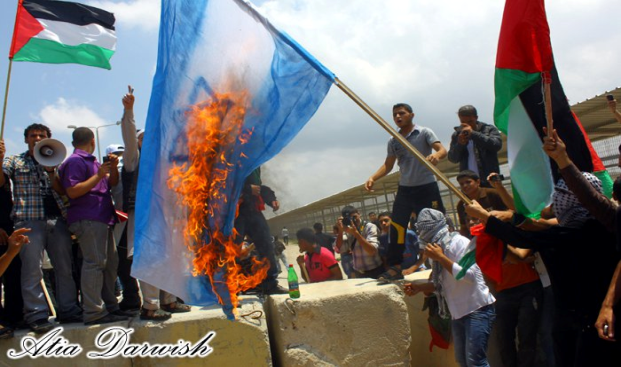 According to the plan currently being formulated, there will be a series of ongoing events which will take place over the course of six weeks, between March 30 (Land Day) and May 15 (Nakba Day). The plan includes the erection, on Land Day, of a tent camp (or camps) near the security fence on the Israeli border, where thousands of Palestinian families will stay. The campaign will peak with a march of thousands of Palestinians to the Israeli border, probably on Nakba Day (no time table is not final). Spokesmen for the campaign continue stressing that their intention is to hold a non-political, “peaceful protest,” but they do not rule out the possibility that the marchers who reach the border fence will try to enter Israeli territory, clashing with the IDF. In ITIC assessment, despite their public statements that there is no intention to use violence, events are liable to get out of control and turn into riots and clashes with the IDF, and Hamas and the other terrorist organizations may be drawn into participating in them. Senior figures in the Palestinian terrorist organizations in the Gaza Strip, led by Hamas and the Palestinian Islamic Jihad (PIJ), welcomed the initiative and called on the Palestinian public to participate. 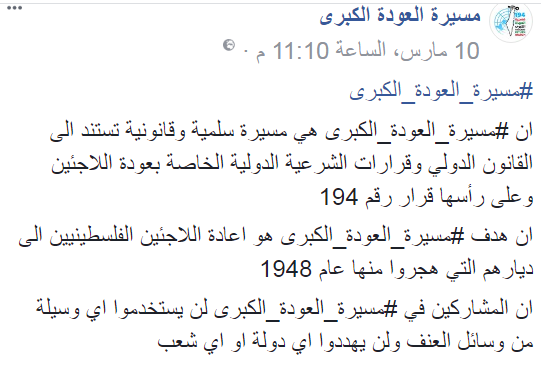 Hamas is encouraging the march and its accompanying events and is even supporting the organizers, although so far Hamas prefers to stay in the background and not appear center stage. Khaled al-Batash, a PIJ operative and coordinator of the national and Islamic forces in the Gaza Strip, held a press conference where he announced the “establishment of the national authority of the border camp and march.” He announced activities would begin to realize the “right of return,” break of the “siege” on the Gaza Strip, and revoke the Trump decisions regarding Jerusalem and the refugees [i.e., cutting the American contribution to the UNRWA budget]. Senior Hamas figure Isma’il Radwan and senior Fatah figure Imad al-Agha also participated in the press conference. According to al-Batash, the committee was established through a national consensus of Hamas, Fatah, the PIJ, the PFLP, the Palestinian People’s Party and other groups. He said members of the committee included representatives of human rights organizations, clans, mukhtars, refugees’ committees, health organizations and activists from every sector of Palestinian society. He said the activities of the “great return march” would begin simultaneously in the Gaza Strip and the West Bank, in coordination with Palestinians abroad and with Israeli Arabs. A senior figure in the “right of return” initiative said the logistic preparations would be completed in the near future and that the locations along the border security fence where the tents would be erected had already been chosen. He claimed Palestinians, both local and abroad, supported the activity. The tents, he said, will be erected by local social organizations, which will provide all the means necessary for the firm stance of residents to remain in the tents (Agence-France Presse, March 8, 2018). The march’s organizers are trying to extend the scope of the activity to fronts beyond the Gaza Strip. They claim to have contacts with Palestinians in West Bank and with Palestinians living abroad. Senior Hamas figure Isma’il Radwan said at a press conference that the activity was being coordinated with activists in the West Bank, Israel, the refugee camps and abroad (Palinfo, al-Anadolu News and Quds Press, March 7, 2018). According to Ahmed Abu Ratima, one of the organizers, contacts are being maintained with activists in the refugee camps in the neighboring countries. He said he hoped they would be able to recruit the refugees to participate in simultaneous “return marches” and overcome the obstacles the local authorities were liable to place in their path (alresala.net, March 11, 2018). Issam Hamad, a member of the march’s coordinating committee, said in an interview that the march would take place not only in the Gaza Strip but in all the countries where there were Palestinian refugee camps (Facebook page of the al-Hiwar channel, March 9, 2018). Senior Hamas figure Isma’il Radwan told a press conference that the “great return march” events would begin on March 30, 2018, and that the so-called “march of the millions” would be held on May 15, 2018 (Palinfo, al-Anadolu News and Quds Press, March 7, 2018). Ahmed Abu Ratima, one of the organizers, said activities would begin on March 30, 2018, with the erection of a tent camp or camps at locations near the border fence, where thousands of Palestinian would be lodged. He reiterated that the events would be of a popular, national and non-violent nature, and be conducted in a way that would ensure the safety of the participants. However, he said, what happened on the ground will determine the next steps, whether to continue the sit-down strike at locations near the border or to approach the fence (Palestinian Online, March 6, 2018). Ahmed Abu ‘Aish, spokesman for the coordinating committee of the “great return march,” said that according to the program, hundreds or thousands of Gazans, including entire families, would live in a camp erected at the closest and most secure location near the border (Reuters, March 7, 2018). Issam Hamad, a member of the march’s international coordinating committee, said that on March 30, 2018 the Palestinians would begin erecting the “return camps” at a distance of between 700 and 1,000 meters (.4 and .6 miles) from the border security fence. He made the statement during an interview conducted by Zaher Birawi, a Palestinian activist affiliated with Hamas and theMuslim Brotherhood, on the London-based al-Hiwar channel, which is affiliated with the Muslim Brotherhood. (On another occasion the organizers said the tent camp would be located no more than 500 meters (.3 miles) from the fence (al-Aqsa TV, March 11, 2018)). In the al-Hiwar interview, Issam Hamad added that after the tent camp had been erected there would be an effort to enlist masses of people. The Palestinians who participated in the events, he said, would receive briefings on the ground from the teams regarding “non-violent resistance” to ensure they did not engage in armed resistance or be tempted by “Israeli provocations.” He said the Palestinians would remain in the tents until they felt the time had come to cross the [Gaza-Israel] border “bare-chested and without arms or shots [being fired]” and would march towards their lands. He reiterated that the march would be “non-violent and non-political” (Facebook page of al-Hiwar, March 9, 2018). al-Hiwar channel (Facebook page of al-Hiwar, March 9, 2018). Senior Hamas figure Bassem Na’im emphasized that the planned activities would be popular, social and non-violent in nature. He said the Palestinians had chosen such a course of action after having tried other methods which had not brought results. He added that there were currently initiatives for simultaneous “return marches” from Lebanon, Syria and Jordan to the Israeli border. He said they expected the IDF would suppress the activity, in which case the occupation [i.e., Israel] would be held fully responsible (Agence-France Presse, March 8, 2018). The organizers of the march repeatedly insist that there will be no violence during the events. A March 10, 2018 posting to the Facebook page of the “great return march” stressed that the participants would not use violence and would not threaten any country or people (Facebook page of the “great return march,” March 10, 2018). (Facebook page of the “great return march,” March 10, 2018). 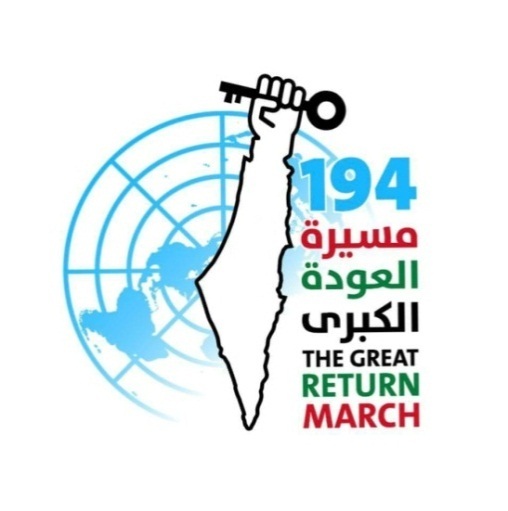 The “great return march” is being encouraged by the terrorist organizations in the Gaza Strip. However, the march organizers claim the events will not be political and apparently official representatives of the various organizations will not participate. 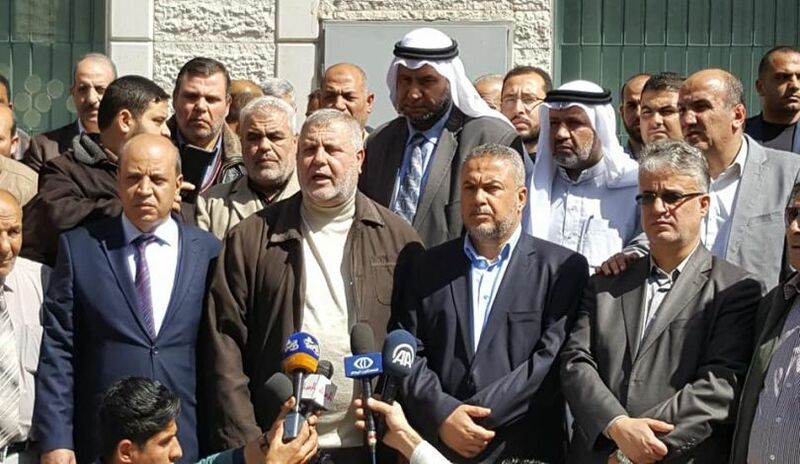 Isma’il Haniyeh, head of Hamas’ political bureau, called on the leaders of the various organizations in the Gaza Strip to help make the events a success. 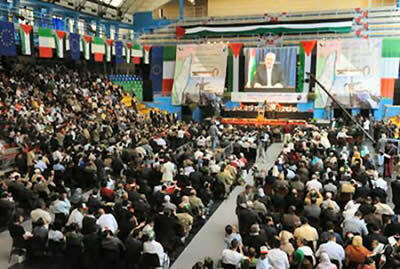 That, he said, is because it is important to exploit every possible opportunity to bring the Palestinian cause to the fore and to make the world know that the Palestinians “inside” and “outside” have not forgotten and will not forget their cause, lands and holy places (Hamas website, March 7, 2018). 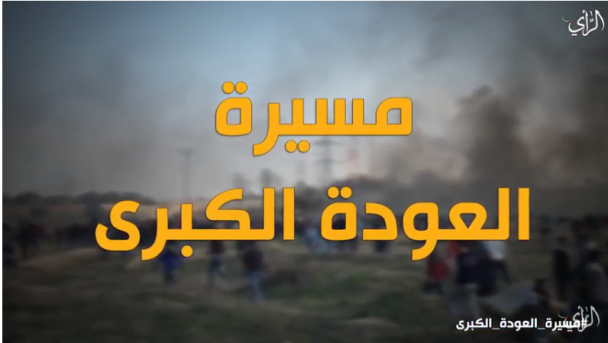 On March 13, 2018, Hamas’ al-Ra’i news agency issued a short video calling on the Gazans to join the “great return march” that would be held on March 30, 2018 (al-Ra’i, March 13, 2018). Pictures from the video issued by the Hamas news agency al-Ra’i (March 13, 2018). As of March 15, 2018 the Facebook page of the the “great return march” had 4,600 followers. 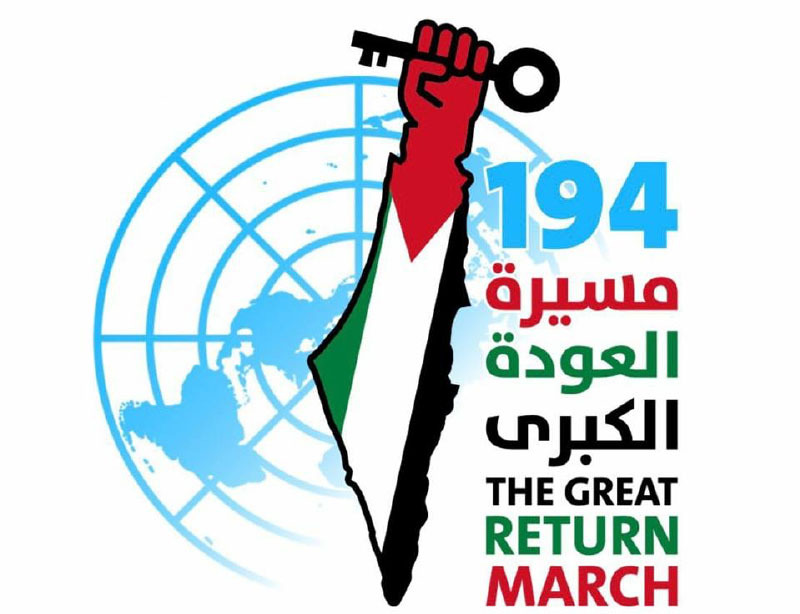 On March 10, 2018, its profile picture, which is also the march’s logo, was updated and the colors of the Palestinian flag were removed the map of Palestine (Facebook page of the “great return march,” March 10, 2018). 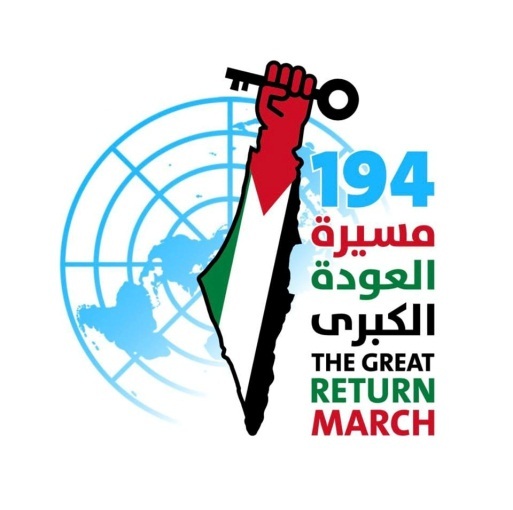 In ITIC assessment, the flag was removed to obscure the message (sent to the target audiences abroad) that all Palestine belongs to the Palestinians (Facebook page of the “great return march,” March 13, 2018). (Facebook page of the “great return march,” March 13, 2018). 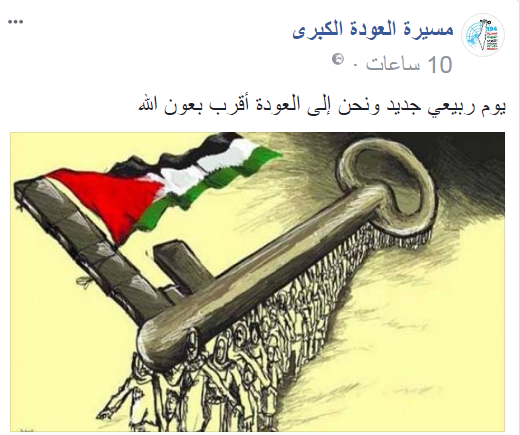 Ahmed Abu Artima posted a notice to his Facebook page reading, “The march of return is the new path of the Palestinian struggle. Its weapons are peaceful gathering and the camera. The return march is an attempt to return history to its proper path (Facebook page of Ahmed Abu Artima, March 13, 2018). One of the members of the international coordinating committee established by the march’s organizers is Zaher Birawi (Qudspress, March 7, 2018). He is a Palestinian activist in Britain, affiliated with Hamas and the Muslim Brotherhood. Birawi has extensive experience in organizing convoys and flotillas (his current title is “coordinator of the international committee for breaking the siege of the Gaza Strip”). 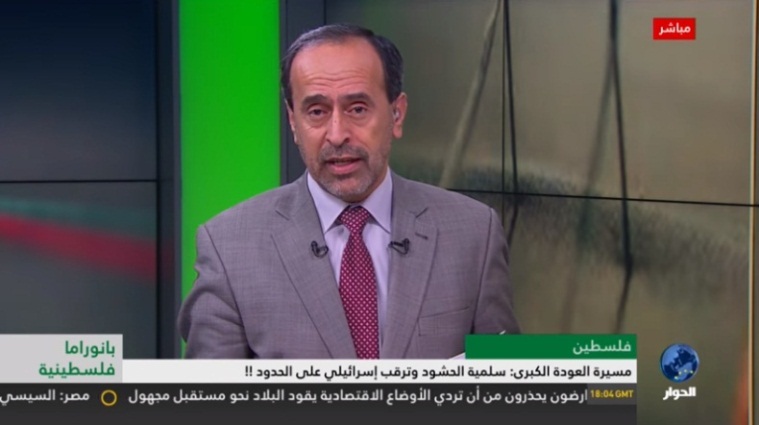 He provided a stage for activity planned in the Gaza Strip on the Muslim Brotherhood-affiliated al-Hiwar TV channel, which broadcasts from London and where he is program director. He interviewed Issam Hamad, an activist from the Gaza Strip, and a member of the march’s international coordinating committee (Facebook page of al-Hiwar, March 9, 2018). Regarding the current campaign, Birawi said the non-violent activity conducted by the Palestinian refugees in the Gaza Strip and wherever they live around the world was one of the most important efforts made by the “popular resistance” at this time. He said it was a practical demonstration of the Palestinian determination to realize the “right of return.” He added that it would be a popular, non-violent measure based on international law and UN resolutions, especially Resolution 194 (Quds Press, March 7, 2018). organizers of the march, on the YouTube al-Hiwar channel (March 9, 2018). In addition, Zaher Birawi said that during the second half of May 2018, close to the 70th anniversary of the nakba, preparations would begin for a number of ships to sail to the Gaza Strip to break the “siege.” He said preparations would continue for close to two months and that the ships would sail around the middle of July 2018. He said they would set sail from a city in Europe whose name would be revealed when the time came. En route to the Gaza Strip they would dock at a number of European ports. He said there would be at least two small boats that would be purchased by activists, some of them Palestinian refugees motivated by their desire to return to the homes, and some by international activists (alresala.net, March 10, 2018). Note: Birawi’s last attempts to organize flotillas to the Gaza Strip failed because of a lack of interest, lack of funding and many other reasons. Zaher Birawi, who lives in London, is a Palestinian activist affiliated with Hamas and the Muslim Brotherhood, whose current title is “coordinator of the international committee for breaking the siege of the Gaza Strip.” In the past he was involved in dispatching flotillas to the Gaza Strip and in an initiative to hold protest marches along Israel’s borders. On his Twitter account he represents himself as a media person and as chairman of the European-Palestinian Forum (EuroPal) (Twitter account of Zaher Birawi, September 7, 2018). Like other Palestinian activists living in Britain, Zaher Birawi exploits its freedom of speech and democracy for intensive political propaganda activities against Israel. He carries out his activities in a variety of groups and institutions to promote the Muslim Brotherhood and Hamas Palestinian political agenda. However, like other Palestinian activists who found a haven in Britain, he is careful not to publicly affiliate himself with Hamas or the Muslim Brotherhood, to avoid entanglement with the British authorities and legal system. Zaher Khaled Hassan Birawi (Abu Khaled), born in 1961, is a Palestinian from the village of Asira al-Shimaliya, north of Nablus. In 1988 he was interrogated by the Israeli security forces on suspicion of involvement in riots in his village and of incitement to riot. He denied the accusations. At the beginning of the 1990s he went to Britain to study and has lived there ever since. In Britain he became involved in Islamist activity, especially activities affiliated with the Muslim Brotherhood, of which Hamas is an offshoot. In 1996 he went to the Gaza Strip for a short time where he worked at the Islamic University in Gaza City, an academic institution under Hamas control. At the beginning of the nineteen nineties he began his career as spokesman for the Leeds Grand Mosque. Between 2001 and 2003 he was the chairman of the Muslim Association of Britain (MAB), an NGO affiliated with Muslim Brotherhood, established by Muhammad Sawalha (a former Hamas operative who fled to Britain). Until a few years ago he was chairman and media person of an NGO called The Palestinian Forum in Britain (PFB). He was also a senior activist in an organization called The British Muslim Initiative (BMI), affiliated with the Muslim Brotherhood in Britain and headed by Muhammad Sawalha. Birawi was also on the board of trustees of the Education Aid for Palestine (EAP), which has Hamas-affiliated activists as members. The organization was established in 1993 by Issam Yusuf, one of the founders of Interpal in Britain, a fund that was involved in transferring money to Hamas charity associations. According to a report on a website called The Global Muslim Brotherhood Daily, the EAP belonged to the Union of Good, an umbrella organization that channeled funds to Hamas. The organization represented itself as supporting Palestinians through education and vocational training, but it was involved with anti-Israeli activity (such as organizing demonstrations). 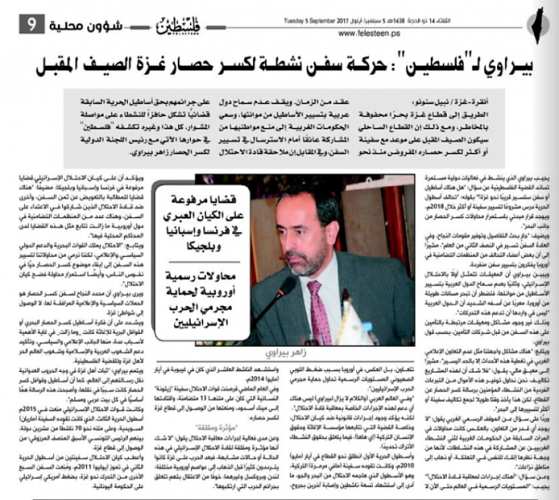 Interviewed by Hamas’ newspaper Felesteen on September 5, 2017, Birawi described the difficulties and obstacles involved in dispatching flotillas to the Gaza Strip. He retained his optimism, claiming that the main objectives of the flotillas were propaganda and to keep the cause of the Palestinians in the Gaza Strip and breaking the “siege” in the public eye, and to continue defaming Israel (“the occupation”). Therefore, he said, the success of the flotillas was measured not by whether or not the ships had reached the Gazan shore, but by the amount of coverage they received in the political and media campaigns accompanying them.